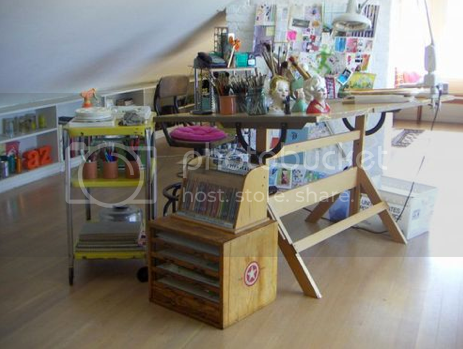 Laura Normandin's creative space. Laura is the creator of Wren Handmade. I saw an article about her in Martha Stewart 2 years ago that really inspired me. She is one talented lady. 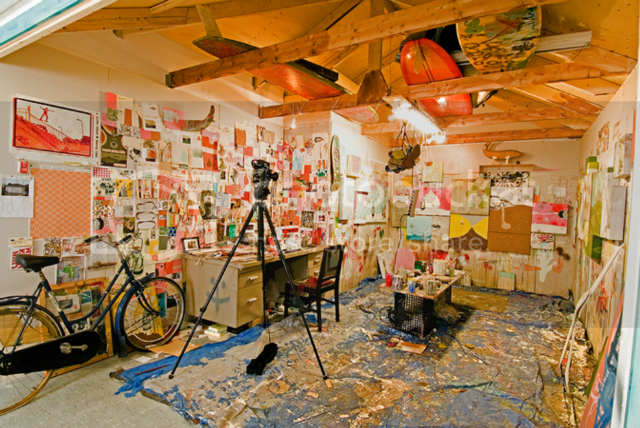 Thomas Campbell's creative space. There are very few things that Thomas can't do; he is a sewer, painter, sculptor, film director, filmer, surfer, music producer... basically he is incredibly talented and I love everything about his creative space. Found in Dwell. I love this bright, open space. 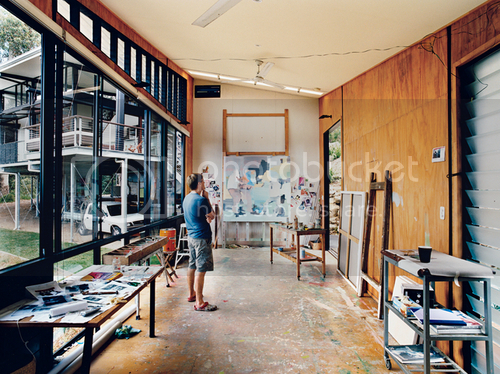 Tomorrow I will post a series of pictures showing my creative space, the Art Barn. 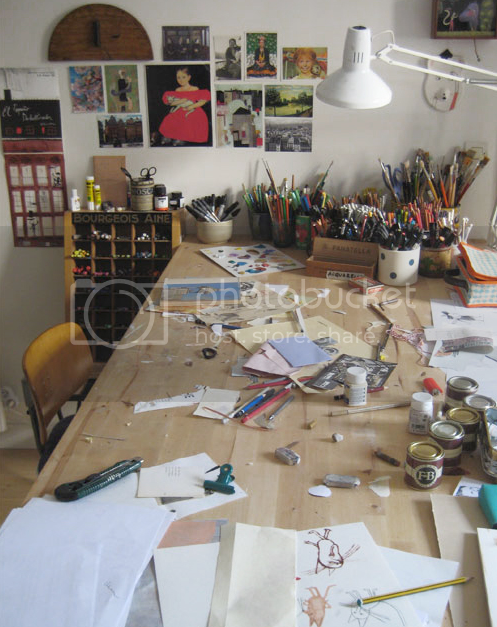 having the perfect work space is key... i believe that it is all in the desk, and the art that surrounds you in those moments of space travel when avoiding a task! Agreed. Yes I feel so strongly that everything in the Art Barn has to feed my creative energy... Or else it is just wasting space, no?